Zullikhan Abdullah, Founder of Ideas Empire & Kalkitos. Who will walked away with these awards? the presenter that sparks off the most ideas. the idea that’s most able to go the distance. The Drive Award: 2 hour wakeboarding session worth $240 by Edge Wakeboarding School for the most driven presenter. So who do YOU like? Each participant will also receive a $200 Marina Square voucher. Special host for this event is Jon Yong Fook, young entrepreneur who founded Open Source Food and director of International Product at COOKPAD. 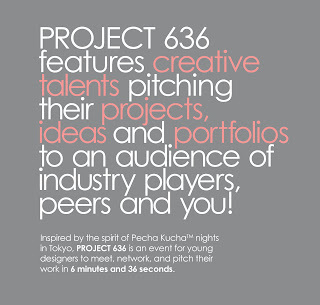 PROJECT 636 is a collaboration between Singapore Creative Network, WDA and Six Degrees. Singapore Creative Network is a fully independent organization focusing on connecting Singaporeans in the creative industry with the rest of the world. The Singapore Workforce Development Agency (WDA) collaborates with employers, industry associations, the Union and training organisations, to develop and strengthen the Continuing Education and Training system that is skills-based, open and accessible, as a mainstream pathway for all workers - young and older, from rank and file to professionals and executives - to upgrade and advance in their careers and lives. 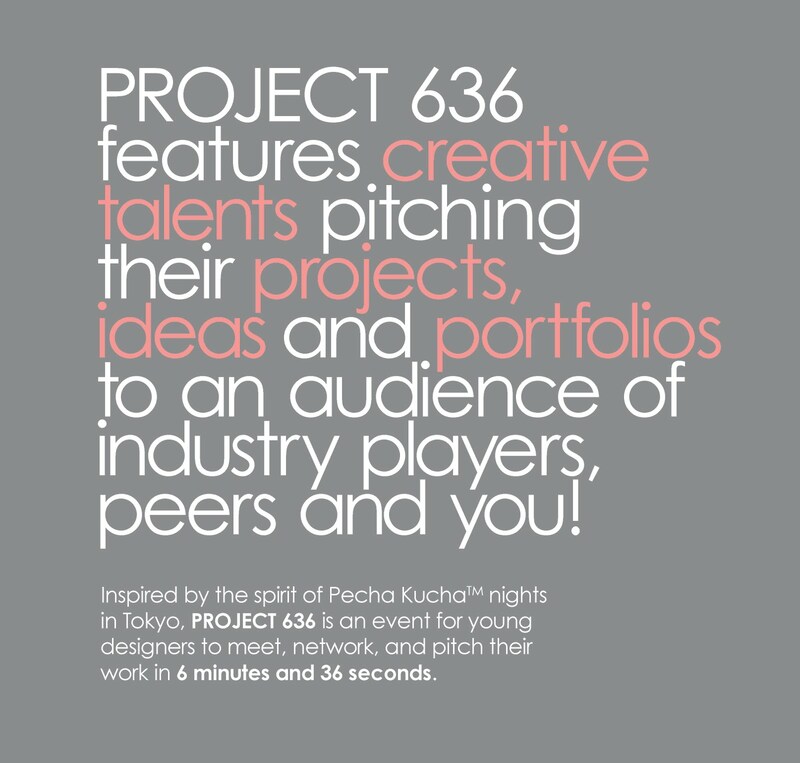 Six Degrees is a community of independent professionals and businesses from across the arts and creative industries. By signing up as members on www.sixdegrees.asia, freelancers and businesses will be able to share experiences and resources, and articulate their needs and concerns within a community that respects and understands artistic work, and values freedom, independence and creativity.